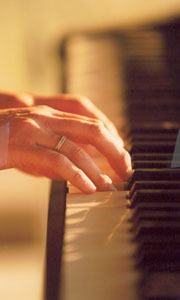 Gordon Holmes, a London piano tuner, is fully qualified (City and Guilds) and very experienced. 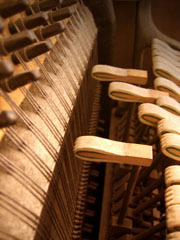 He offers London piano tuning, London piano repair, London piano stringing, piano restoration London and expert piano servicing and piano services in London. 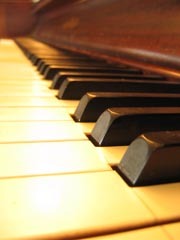 Please contact The Piano Tuner London to discuss your tuning or piano repair requirements and benefit from his 25 years of experience at most reasonable rates. 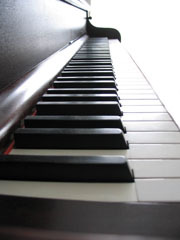 It is important that you maintain your London piano and Gordon offers flexible, piano servicing to piano owners in London. Appointments can be made to suit you. Gordon's expertise offers excellent value for money and he does not charge for travel. 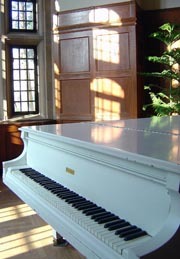 Services include: London piano servicing and London piano restoration. "...we were delighted with the tuning and service." "...we will recommend you to our friends." He does not charge for travel. "...completely reliable in all respects"
"He was refreshingly 'old-school' in his approach and we were delighted with the thoroughness and high standard of the repair work"
Mr & Mrs L. Cohen, Hampstead.